Thirty out of forty nine of the world’s least developed countries (LDCs) have identified the development of tourism as a feasible way to participate in the global economy and thereby reduce poverty. WEDF brings together tourism experts from the public and private sectors to work on solutions. Mr. Ed Fuller, keynote speaker, President and Managing Director of Marriott International. 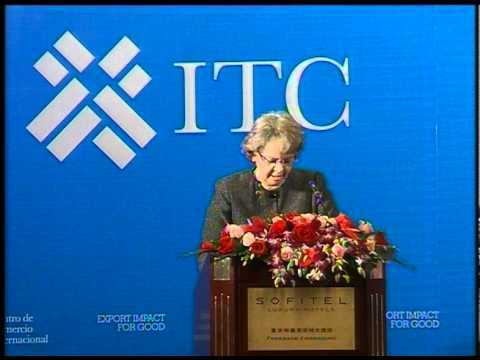 Mrs. Patricia Francis, Executive Director, ITC. Mr. Pascal Lamy, Director-General of the WTO. H.E. Dr. Mary Nagu, Minister of State in the Prime Minister’s Office, Tanzania. Ms. Rosette Chantal Rugamba, Founder, Songa Africa, Rwanda. Mr. Hiran Cooray, Chairman, Pacific Asia Travel Association (PATA) and Chairman, Jetwing.